Doctors held a baby born to a mother who received a uterus from a deceased donor. A novel transplantation procedure may help more infertile women become pregnant. 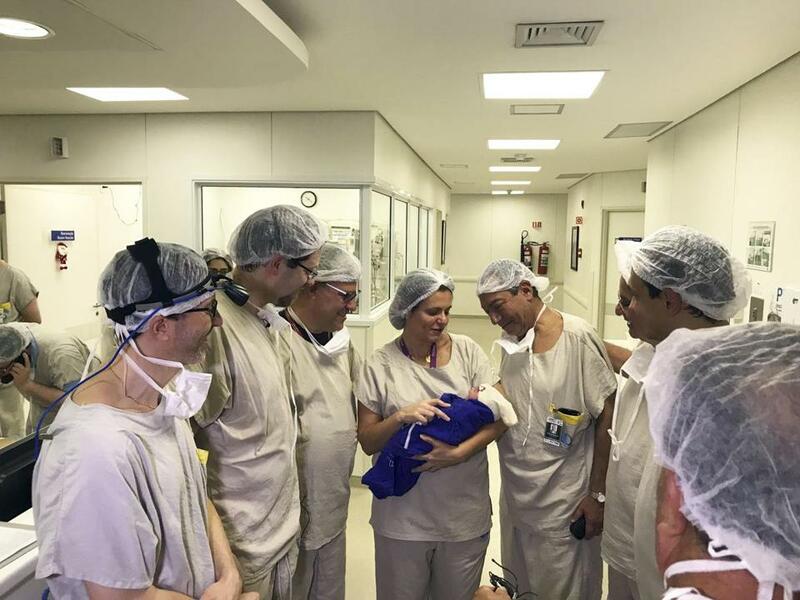 NEW YORK — A woman who received a uterus transplanted from a deceased donor has given birth to a healthy child, researchers in Brazil said Tuesday. It is the first such birth to be reported. Uterine transplants from living donors have succeeded; at least 11 babies have been born this way since 2013. But a viable procedure to transplant uteri from deceased women could drastically increase the availability of the organs. “We talk about lifesaving transplants. This is a life-giving transplant, a new category,” said Dr. Allan D. Kirk, the chief surgeon at Duke University Health System, who was not involved in the research. The operation, detailed in a case study published in The Lancet, followed 10 other attempted uterus transplants from deceased donors in the United States, Turkey, and Czech Republic. It was the first successful uterine transplant in Latin America. Infertility affects about 1 in 10 women of reproductive age worldwide. The subject in this study, born without a uterus, received the organ from a 45-year-old woman who had delivered three children naturally. The donor had died of a stroke. Seven months after the 10-hour transplant surgery — after menstruation began, and once it became evident the patient’s body had not rejected the organ — doctors implanted the uterus with one of the patient’s eggs. A 6-pound girl was delivered through cesarean section, according to Dr. Dani Ejzenberg, a gynecologist at the Hospital das Clínicas at the Universidade de São Paulo in Brazil, who led the research. In the future, patients may be able to turn to organ banks instead of searching for volunteers, and living donors could avoid risky complications such as infections. In time, researchers hope to decrease side effects and costs by lowering the amounts of immune-suppressing drugs that recipients must take. But more cases will be needed to assess whether long-term outcomes differ between living and deceased donors. One of the greatest challenges ahead, Kirk said, will be understanding the social perceptions of the new option.